The trend for revamping mobile games on Switch has actually led to some pretty good titles getting a new lease of life. 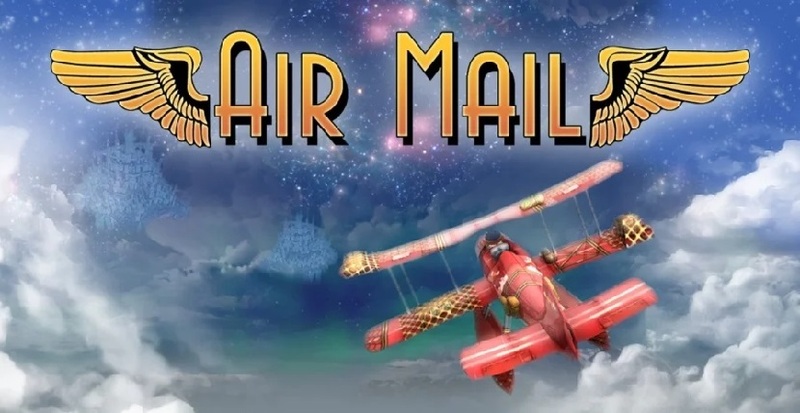 Air Mail is another great little game that really fits Nintendo’s platform. Feeling at times a little like Pilotwings, particularly its more recent 3DS follow up , flying through hoops and collecting objects is the order of the day here. The story goes that you’re the plucky young boy or girl that has always wanted to fly the mail route, the only way of getting mail around a small set of islands. Being caught near a plane may have ended all that if it wasn’t for the boss of the company realising your passion and taking you on. Cue a chance to realise your dreams thanks to your new boss. Beginning with a training level to learn how to control your little plane and pick packages up, before long you’ll be flying the routers over the islands, delivering packages of all sorts to people. The missions involve picking up a package, flying through hoops and then getting back. Packages and destinations change, you could be doing a simple mail drop, fishing with a net or putting out a fire with a bucket, but the general idea remains the same. Things change a little in later stages as you need to fly through a war zone, delivering bombs, but it’s much the same in terms of gameplay and you won’t get to blow anything up yourself. Missions are rated with an A star rating system, meaning that you can always go back to a mission and try for that top rating. Repetition may seem like an issue, but this game uses scenarios and the many maps on offer to help changes things up. In addition to this main story Mission Mode, Air Mail also offers two more game modes. Express Delivery gives you a timer to complete as many missions as you can and a leaderboard to beat while Explore Mode lets you explore each island you’ve unlocked in the Mission Mode, finding collectables to unlock new paint jobs and other hidden items for surprise rewards. Level design is great, with each map containing some great scenery. Tunnels, winding passages, narrow streets are all designed with a focus on testing your flying ability and give you plenty to explore in free roam. The backgrounds look stunning at times, especially for an indie title that started life on mobile platforms. Air Mail provides a lot of fun for those looking to itch their Pilot Wings urges and while the story itself is fairly short, there’s a good A star rating to beat, lots to unlock and plenty of new things to find in Explore mode.